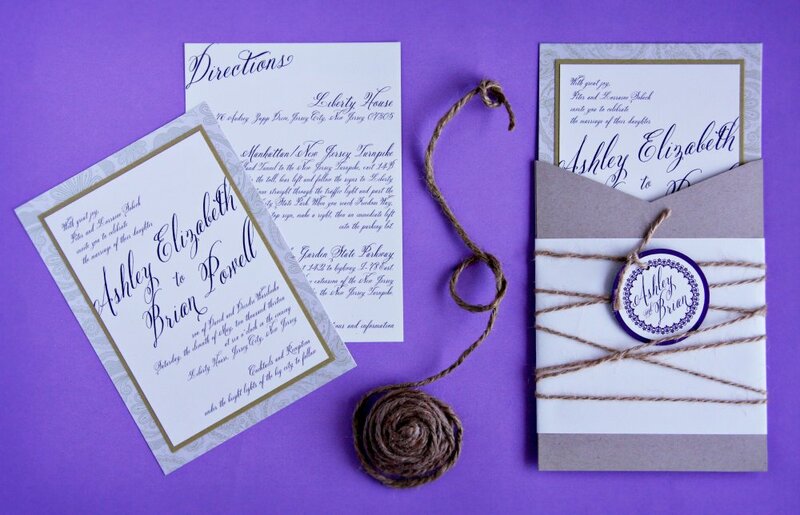 Why NOT to DIY Wedding Invitations! 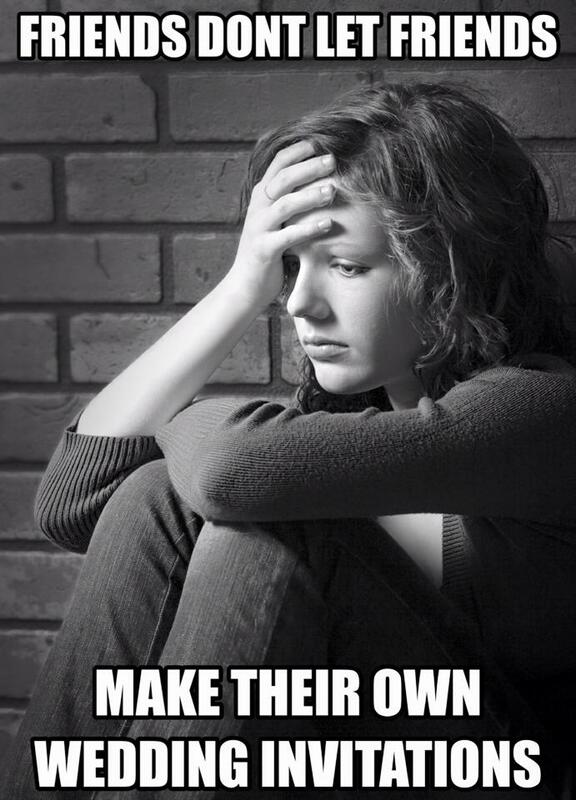 A friend recently shared this photo with me and I burst out laughing because it is SO TRUE! Just see what this bride had to say about her DIY experience! BUT WAIT, there’s more! Many other brides share similar DIY experiences… I couldn’t help but smirk while reading “The Great Wedding Invitation Disaster of 2009.” And ANOTHER…”You’re Invited (Part I): A DIY Invitation Disaster.” This bride had so much trouble with her “DIY adventure” that she had to write about it in TWO parts!! See “You’re Invited (Part II): Assembling the Troops” to read about the rest of the mess she endured! The list of DIY invitation disasters is endless! In just those three stories alone, the list of potential problems for DIY wedding invitations is a long one: spending hours in word processing, reformatting templates again and again and again, having to completely re-do initial designs, paper colors not what expected, having to re-order (for a fee), spray glue (enough said), messy assembly, spending more hours printing, wasting paper, spelling errors due to lack of proofreading, running out of supplies, invites falling apart before they even reach the mailbox, problems with printing companies, text smudging, throwing away invitations, paying for a second printing, and even invitations blown away in the wind!! Not to mention other problems I’ve heard brides lament about when attempting to DIY: printing invitations upside down, making millions of trips to the craft store, frustrations over learning new design software, assembly taking f.o.r.e.v.e.r, printers jamming and/or running out of ink, and of course many tears shed over these seemingly-menial-but-still-so-important-wedding-details. The list could go on and on and on! Think you’re saving time and money?? THINK AGAIN! Brides who contact me quickly realize that allowing a professional to handle the job allows them to relax, knowing that the finished product will look far better than anything they could make on their own! Plus, it frees them up to focus on other important wedding decisions. 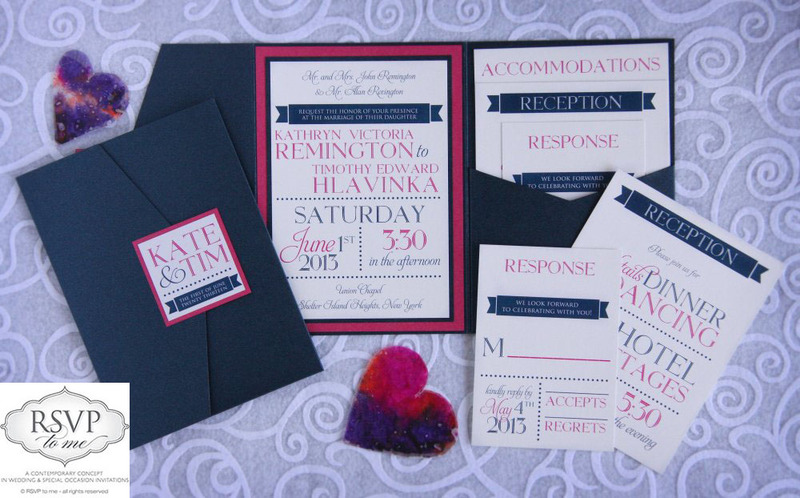 There’s just so much to do — why add the stress of designing and assembling invitations too? 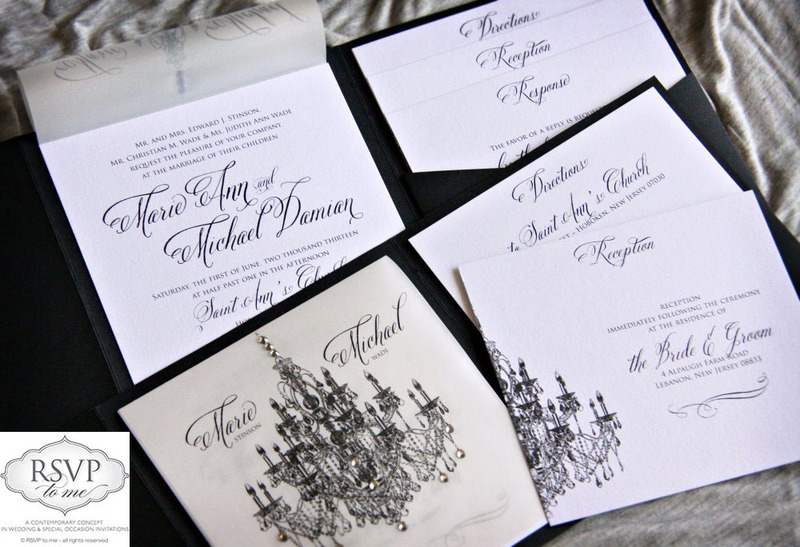 Take it from me (I know how much time and energy it takes to make beautiful invitations! )… this is one thing you will be glad you didn’t take on yourself! It’s your special day! 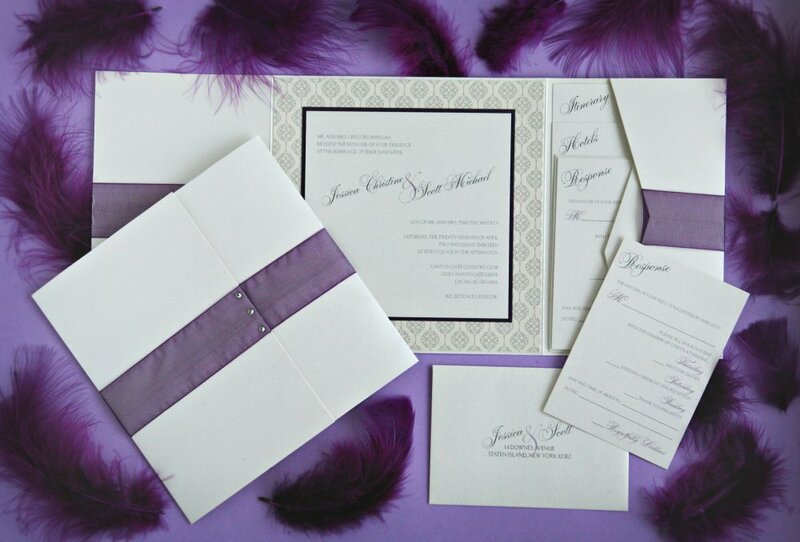 Let your invitations reflect how important your wedding truly is. 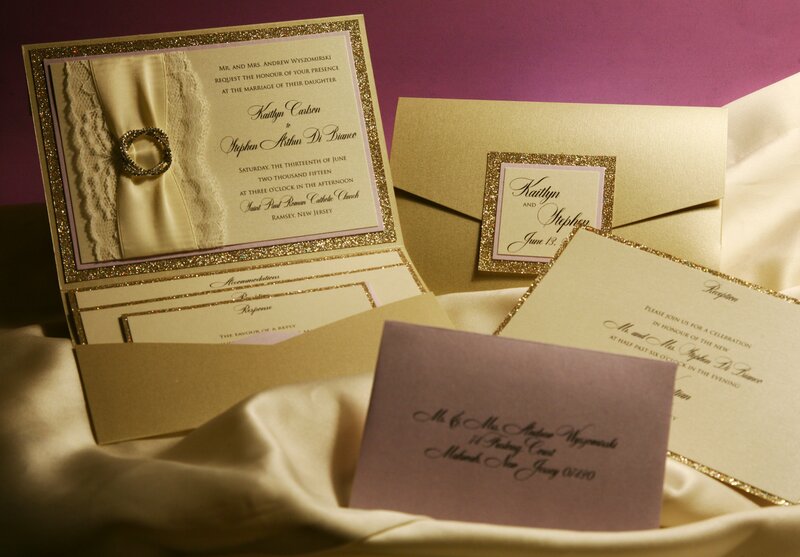 We at ‘RSVP to me’ would love to assist you by creating custom wedding invitations for your upcoming celebration! Share your vision with us and we can create it! Happy Monday! 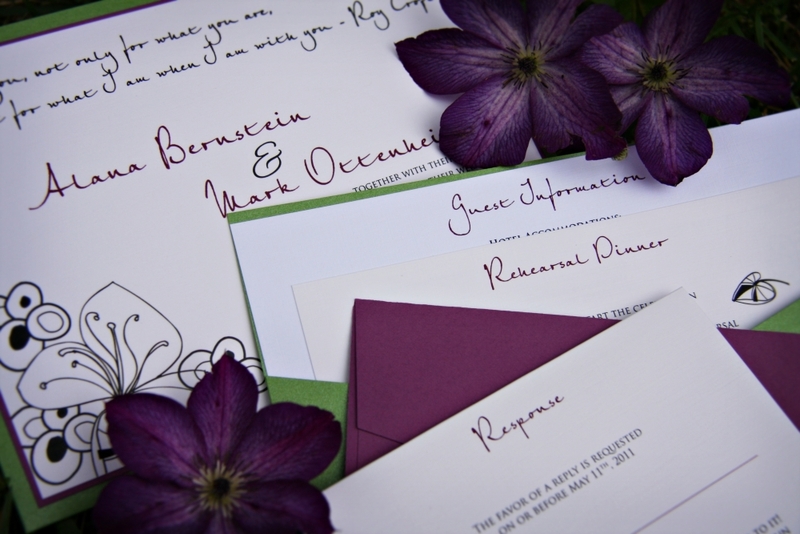 Over the last few weeks we’ve shared our expertise on wedding invitation and response card card wording. 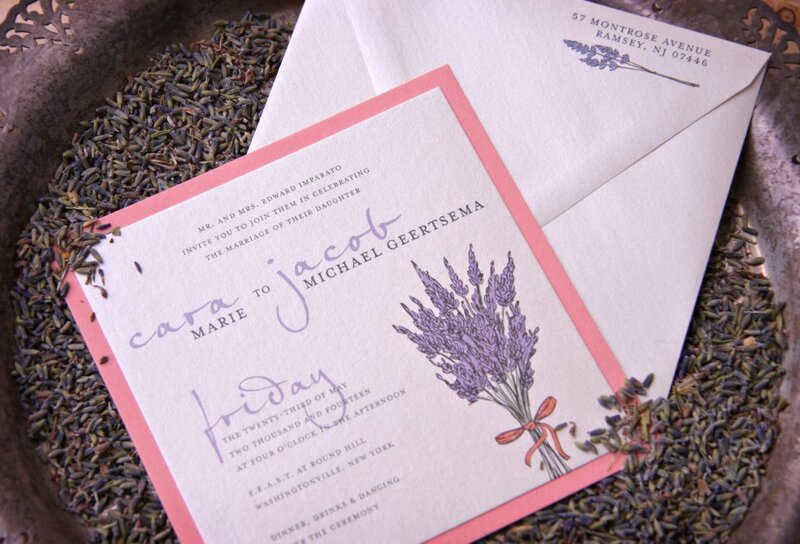 Today, we’re talking about reception cards. 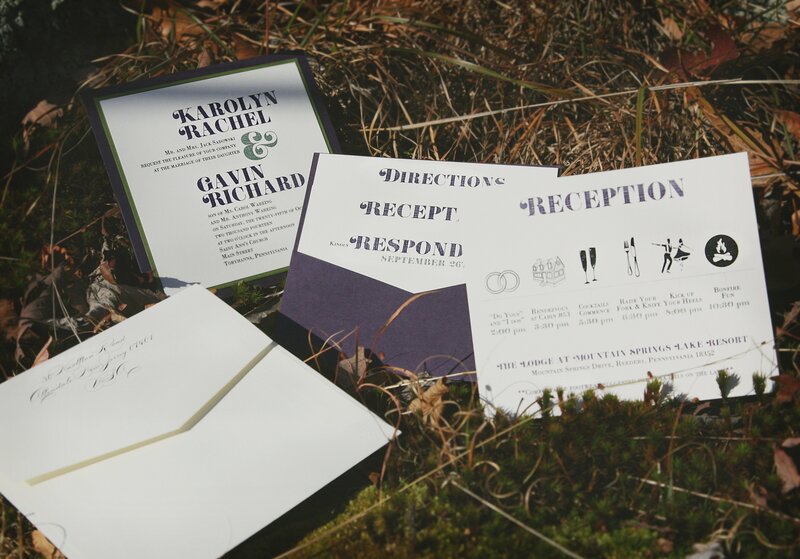 If you haven’t guessed it already, the reception enclosure card informs your guests where the party is going to take place, as well as time of events (i.e. cocktail hour and dinner). This is an important piece of your enclosure cards, especially if the ceremony will be held at another location. Have a little fun and put a twist on the traditional by playing with fonts, motifs, and various wording options. 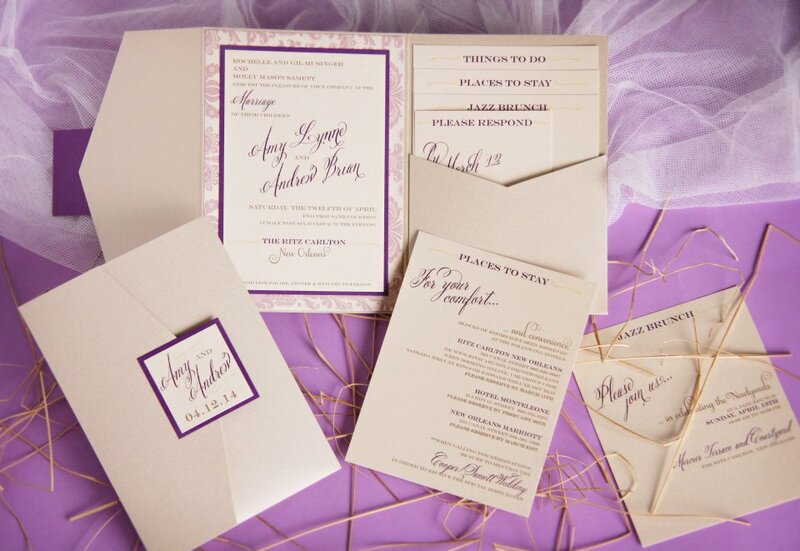 Choosing your wedding invitations doesn’t have to be dreadful. 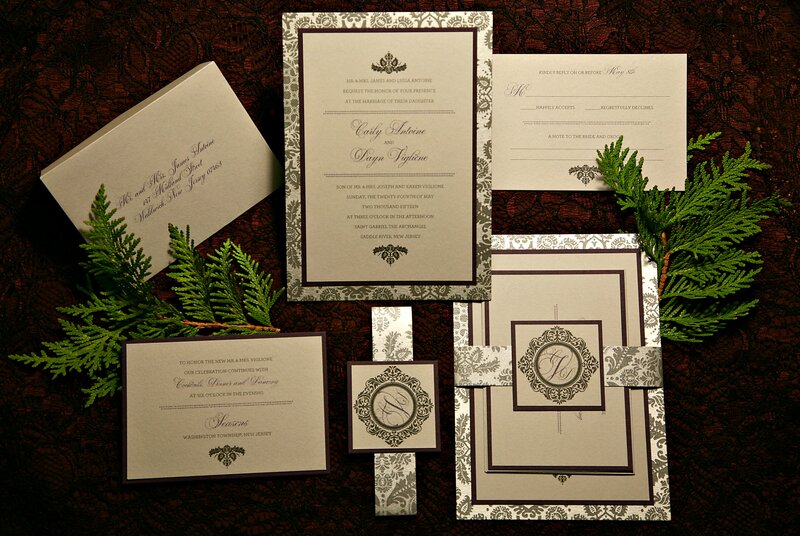 Work with an experienced invitation designer for a fun and stress-free experience who can not only design and assemble your invitations, but can answer all questions and provide etiquette information. Don’t forget, ‘RSVP to me‘ offers an extensive invitation word guide for all of our couples who need assistance!